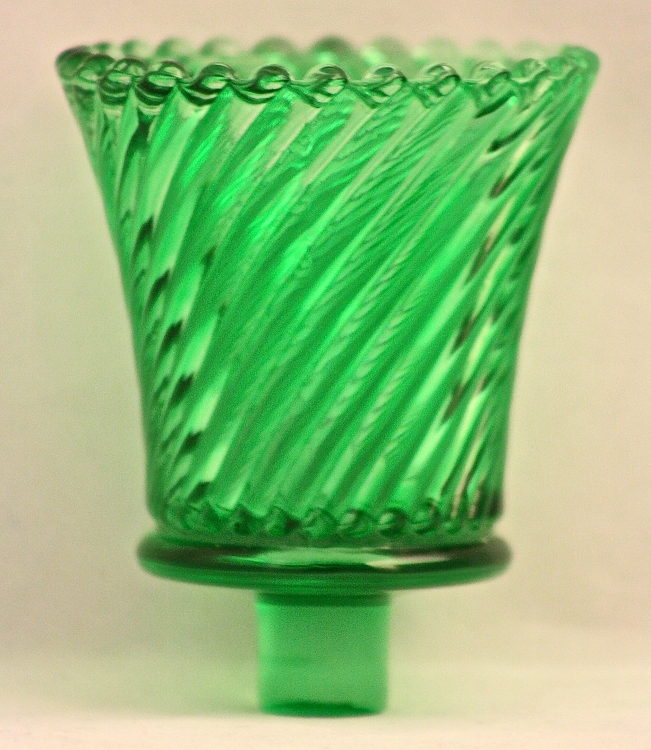 This lovely green pegged votive glass with a swirled design is sure to be in high demand at holiday time! The standard sized peg will fit into most candle sockets made for 7/8" candles. The glasses are high quality and a generous size, ideal for votive or tea light candles. 3" high not including the peg, this votive has a 2" diameter bottom edge on the outside. and is 3" across the top (outer edge to outer edge), with an opening of approximately 2 1/4" at the top, tapering to 1 1/2" at the bottom of the cup. The bottom peg measures 5/8 inches long and 3/4 inches in diameter. Sold individually. 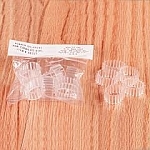 Each votive glass includes a removable rubber gripper. 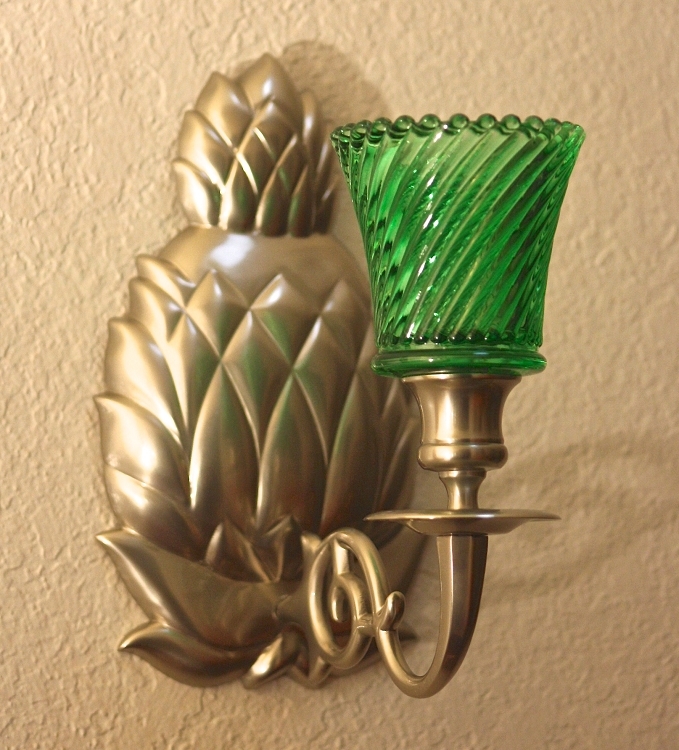 Grippers can be used as needed to give the votive a more snug, secure fit in larger sized sockets.